All news on Real Madrid C.F. Real Madrid will be hoping to build on their slim Copa del Rey aggregate lead when they welcome Barcelona to the Santiago Bernabeu for another rendition of El Clasico. Santiago Solari has a strong side to pick from and will be eager to reach a final in his first season as Real Madrid manager. Here’s a look at how they may line up. Keylor Navas (GK) – Real Madrid’s cup keeper will be eager to impress his manager when Barcelona visit. It won’t be easy however, with the likes of Lionel Messi and Luis Suarez in fine form. Dani Carvajal (RB) – Los Blancos never look quite the same without the Spanish international, they paid the price for omitting him when they lost to Girona but are unlikely to do the same again. Raphael Varane (CB) – The World Cup winner has developed into one of the best centre backs in the world, his pace and physical presence make him a necessity against a frightening Barcelona attack. 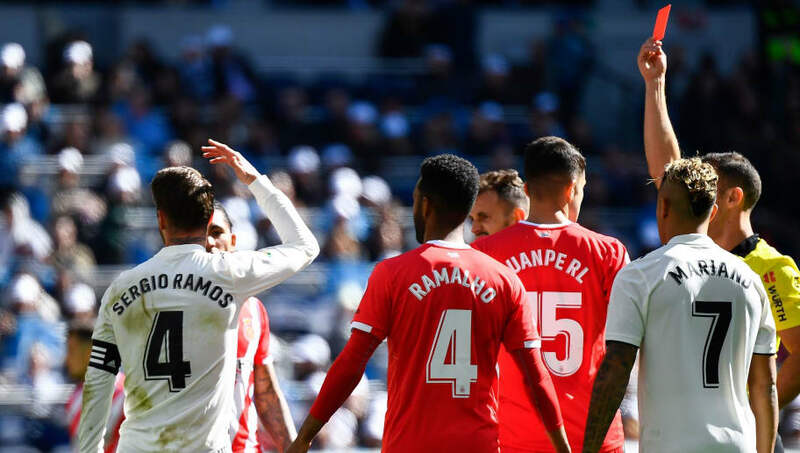 Sergio Ramos (CB) – The club captain returns from suspension against a familiar foe. You can expect Ramos to either be sent off or score the winner, he rarely has a quiet Clasico. Marcelo (LB) – Arguably the most skilled left back in the world, Marcelo provides defensive expertise as well as the pace to get forward and provide width to the attack, he understands what it takes to beat Barca and will surely start. 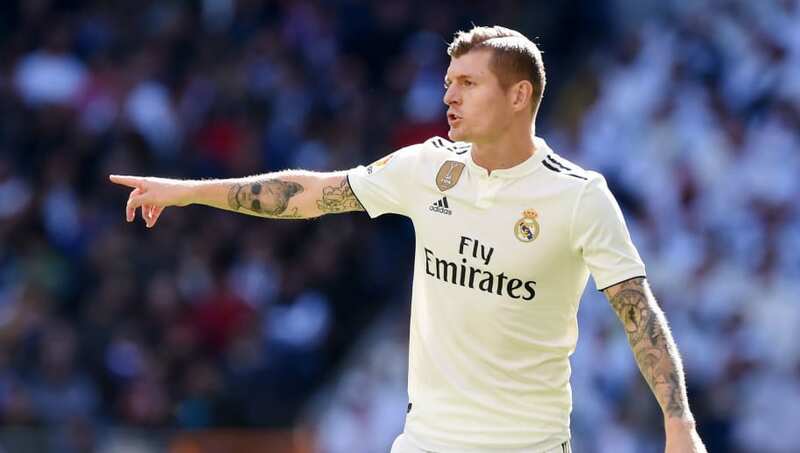 Toni Kroos (CM) – The German pass master always keeps Real Madrid ticking and his calming influence will be essential in what is always a hotly contested fixture. Casemiro (CM) – The tough tackling Brazilian will need to be at his very best to stop Barcelona getting into their stride. Expect to see fouls and interceptions from the most defensive of Real Madrid’s midfield trio. Luka Modric (CM) – The 2018 Ballon d’Or winner has the creativity to unlock the Barcelona defence, it will be an interesting battle of the Croatians between him and Ivan Rakitic in the middle of the park. 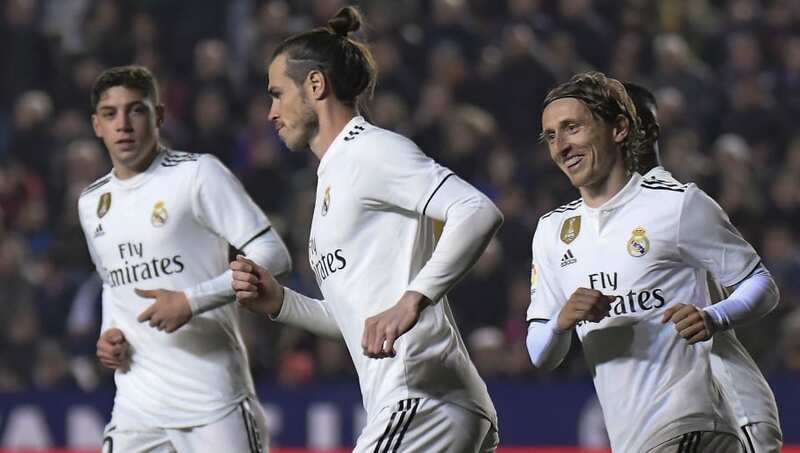 Gareth Bale (RW) – Having only played 16 minutes against Levante, Saturday’s match winner will be keen to inflict more Copa del Rey pain on Barcelona, as he did with his outstanding solo goal in the 2014 final. Karim Benzema (ST) – The Frenchman scored the first of Madrid’s two penalties at the weekend and will be hoping to add to his 9 El Clasico goals. Vinicius Junior (LW) – Heralded as the potential heir to Cristiano Ronaldo, Vinicius will see this clash as the ideal occasion to announce himself to the world.